RIT was ranked among the best computer science and engineering schools in the Northeast and U.S. in the most recent <em>Business Insider</em> ratings. Rochester Institute of Technology was ranked among the best computer science and engineering schools in the most recent Business Insider ratings. The university placed 14th in the Northeast and 36th in the U.S., in the ratings. RIT was recognized for its comprehensive preparation of graduates for today’s workforce, particularly in important STEM fields—science, technology, engineering and mathematics. Business Insider surveyed more than 400 of its readers to find out which engineering and computer science schools have the most valuable undergraduate programs. Top-rankings by these individuals and high, selective average SAT scores (from the college admissions website CollegeBoard) for the students at each school were also included in the assessment. According to the magazine, RIT was highlighted for its students who generated more than $30 million in earnings through employment placements. During their undergraduate years, students participate in several full-time, paid cooperative education experiences with more than 500 companies. Also in the Business Insider article, RIT was ranked fifth among the most popular computer science and computer engineering programs in the country. The group pulled the top computer science and computer engineering schools from its list by ranking the schools by percentage of students who major in computer science, according to College Board. Computer science was the No. 1 major for this fall’s record-breaking freshman class at RIT. 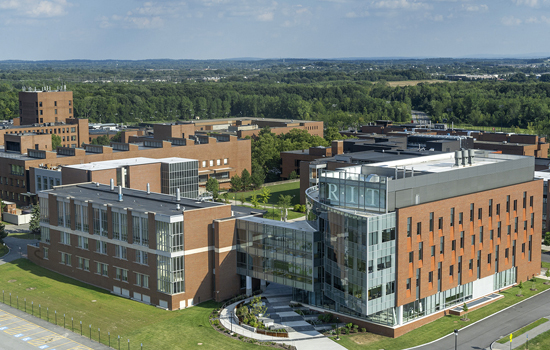 RIT’s Kate Gleason College of Engineering offers undergraduate, graduate and doctoral degrees with majors in biomedical, chemical, computer, electrical, industrial, mechanical and microelectronic engineering. The B. Thomas Golisano College of Computing and Information Sciences is home to RIT’s computer science, computing security, information sciences and technologies, and software engineering departments, as well as a Ph.D. program in computing and information sciences, and the School of Interactive Games and Media. More about the rankings can be found at http://www.businessinsider.com/best-computer-science-engineering-schools-in-america-2015-7.